Green Roads have outdone themselves with the introduction of their CBD Froggies range. The 100 mg option seems to be a great option for newbies and those who are after something fairly mild. This strength of CBD froggies can be used for stress, sleep deprivation, anxiety, and depression. The Green Roads Froggies have been derived from 100% organic hemp. They are best stored in a room temperature environment, so no refrigeration is necessary. Furthermore, they have a shelf life of about six to eight months after the purchase date. These froggies are some of the best on the market. The taste, delivery, potency, and body effect are all on point. 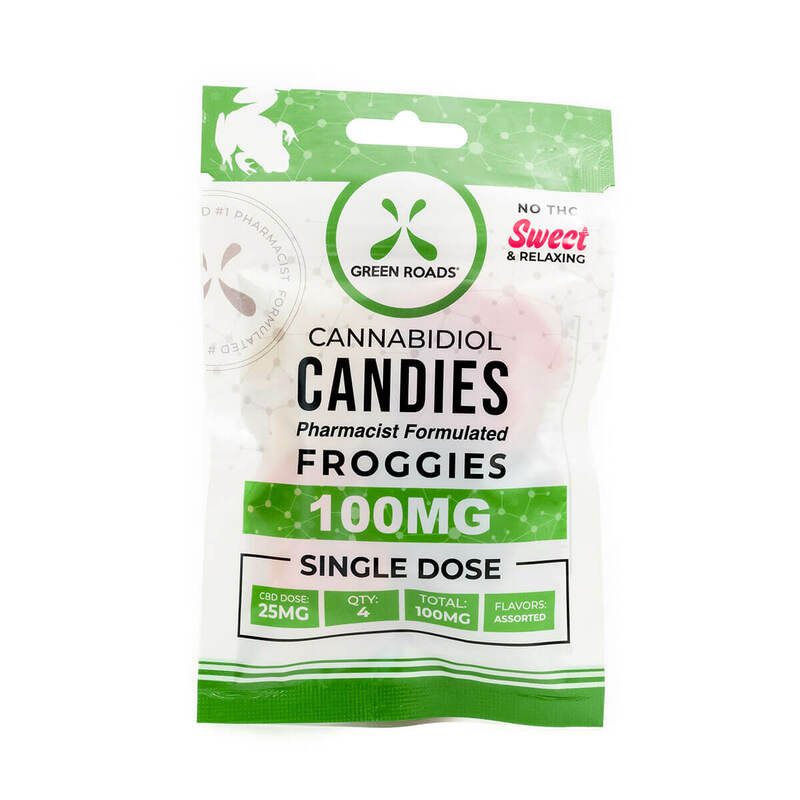 The 100 mg froggies are a low dosage of CBD and if you are new to CBD, then this would be the perfect choice for you. A combination of sweet and sour flavors, these froggies come in a pack of four and are designed to give the user a calming feeling. The 100 mg froggies will set you back $19.99 for a pack of four. You should wait at least three hours after taking one to see how the dose of CBD affects you, and only take more if needed. The froggies are an expensive option, so this is probably not a product that you would take everyday. Nonetheless, it is still a great option to have. Green Roads has a reputation for their high-quality CBD products. The Froggies use the same high quality CBD and broad-spectrum terpenes, which provide an entourage effect and unique floral taste. They are tasty, effective and convenient to use.